"...it’s Houle’s lightening quick musical reflexes and Jane’s masterful chamber music chops that made both the live performance and the CD outstanding"
"Sonically vivid and intellectually lively, Sassicaia is an auspicious debut." SEA and SKY is thrilled to announce the release of two new CDs of wonderful chamber works for clarinet, violin and piano, and for saxophone, violin and piano. Sea and Sky has expanded into a collective, with violinist Joan Blackman and saxophonist Julia Nolan. To celebrate this new collective, two programs were recorded at Pyatt Hall in the spring of 2017. Dream Tracks features classic masterpiece works for clarinet, violin and piano by Aram Khatchaturian and Charles Ives, along with hidden gems such as Patrick Cardy's Tango! and the frenetic romp of a trio by American composer Paul Schoenfeld. Chromaticity features the otherwordly tone of Julia Nolan's saxophone in a stunning program of classics and new commissioned works written espcially for her. Their second CD, Zarabandeo, appears on Afterday Audio, a new label founded by François Houle for the dissemination of his work in the field of creative music. This CD presents works inspired by latin rhythms, featuring infectious melodies by Guastavino, Piazzolla, D’Rivera, Horovitz, Ravel, Milhaud, and Arturo Marquez’s virtuosic duo Zarabandeo. The clarinet-piano duo Sea and Sky (François Houle & Jane Hayes) has been collaborating for over 10 years to bring fascinating and unusual programs to new audiences across Canada. 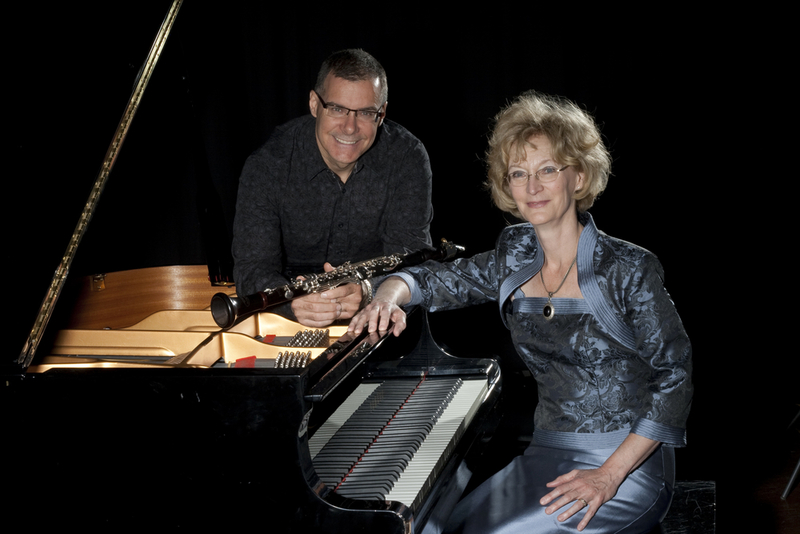 Having performed together as members of Turning Point Ensemble and Vancouver New Music Ensemble, these two outstanding musicians felt the urge to explore the clarinet and piano repertoire to uncover rarely heard gems, regardless of era, genre, and style. The duo has presented concerts throughout BC. An important Canada Council commission for a new work for clarinet, piano and electroacoustics by Montreal-based composer Paul Dolden led to François and Jane calling on composer friends to write works for the duo. This culminated in the recording and release of their “Sassicaia” CD in March 2014. At the same time, the duo recorded “Zarabandeo” featuring works bound together by the Latin hallmarks of infectious rhythm and exquisite melody. The accolades have already rolled in for these recordings with reviews citing “the excellence of the musicianship”, their “interpretive prowess” and “Sea and Sky’s willingness to experiment”. “Sassicaia” was nominated for a 2014 West Coast Music Award for best new classical recording and best new classical composition (Owen Underhill). In 2015 violinist Joan Blackman, former Associate Concert Master of the VSO and Artistic Director of the Vetta Chamber Series joined Jane and François. Together they have been performing throughout the Lower Mainland, Vancouver Island and the Gulf Islands, expanding the repertoire of Sea and Sky and providing an even greater range of repertoire possibilities. Programs have included Bill Richardson as writer and narrator in a highly entertaining Stravinsky’s L’histoire du soldat. The trio also received a Canada Council grant to commission composer Michael Oesterle to write a new work for the group that received its premiere in March 2018. And now saxophonist Julia Nolan has joined the collective, adding a sound and repertoire that is fresh and appealing. Works by Dorothy Chang and Eileen Padgett were written for this newest combination of violin, saxophone and piano and have been performed across the Lower Mainland. This trio will concertize in Slovenia this summer. Two CDs were recently released featuring the newest members along with François and Jane. “Dreamtracks” contains works by Khachaturian, Schoenfeld, Ives, Sculthorpe and Cardy written for clarinet, violin and piano. The second CD features duos and trios for violin, saxophone and piano.